Add a citrusy taste to your foods with Regal ground coriander. Regal ground coriander is a fresh, flavorful seasoning that tastes great in a wide variety of dishes. Derived from the ripe coriander fruit, this spice is from the same plant as cilantro, though they do not taste the same and are not interchangeable. Coriander is a popular addition to Asian, Indian, and Middle Eastern cuisine and adds a sweet, citrusy flavor to your dishes. "We use coriander frequently in a lot of our dishes. The freshness is on par with the big names, but a fraction of the price. Highly recommended." In order to save you time during food prep, this coriander is pre-ground. 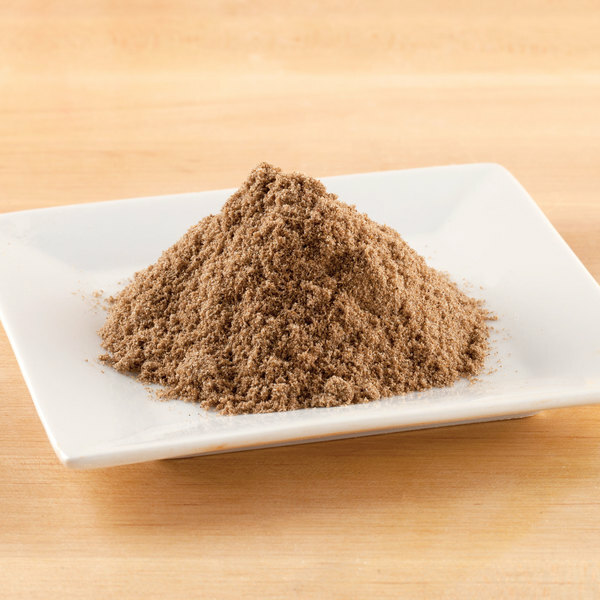 Ground coriander also offers a stronger, more consistent flavor than whole coriander. Coriander has a sweet, mild taste that has been described as a mix between lemon and sage. Popular in Middle Eastern and Indian cuisine, coriander is a common ingredient in curries, chili, and rubs. Regal Herbs and Spices are a smart addition to any kitchen. This handy 8 oz. container is easily accessible for your cooking and seasoning needs. Be sure to check out our quantity discounts for even better wholesale savings! 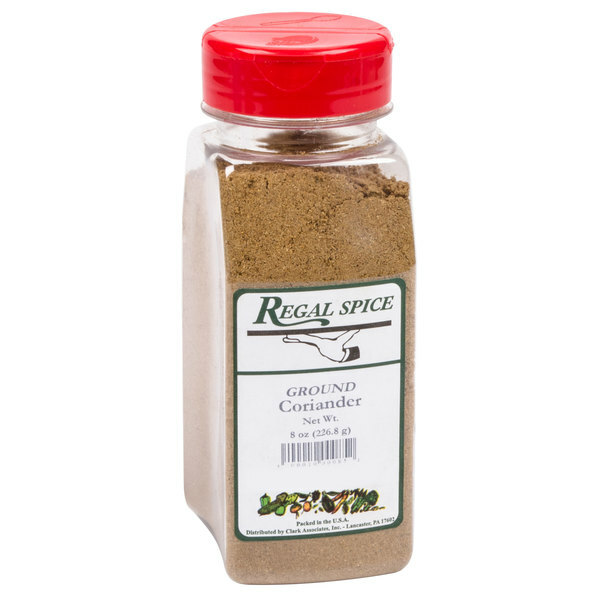 Item #: 10207043 Regal Ground Coriander - 8 oz. 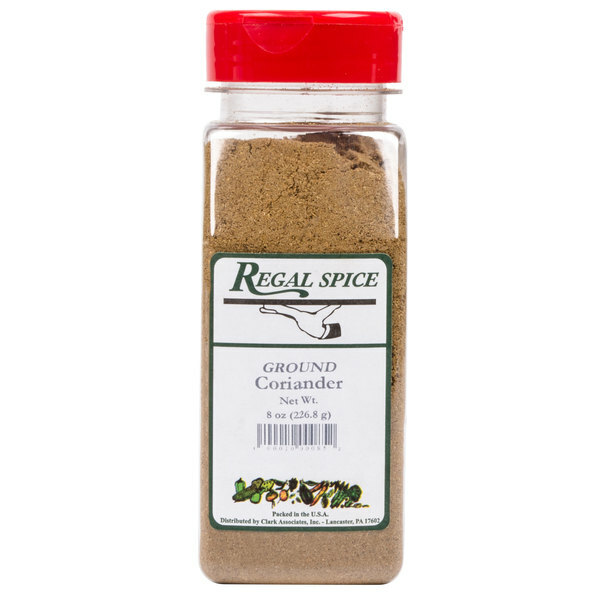 Item #: 102708218 Regal Ground Coriander - 16 oz. Regal Whole Nutmeg - 8 oz. 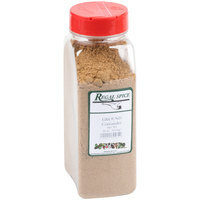 Regal Curry Powder - 10 oz. Regal Ground Yellow Mustard - 8 oz. Overall User Rating: Regal Ground Coriander - 8 oz. Best source for spices around! Grocery stores rip you off on price and wholesale membership clubs give you way to much. This is the holy grail for spices! 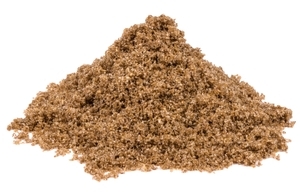 This ground coriander is a good addition to rubs. The grind is good and not too coarse. I like to have it in addition to the whole coriander for faster use. We love using ground coriander on several of our dishes and this coriander adds a beautiful flavor and the price was unbelievable! Fast shipping, large bottle and tastes great. We now get all our spices from Webstaurant! I love the Regal brand ground coriander - the quality and larger volume size are economical and convenient. W-A-A-A-YOU cheaper than at the grocery store! Very good and fresh flavor with the Regal coriander. It tastes just as good as what I used to buy from local markets, but is a fraction of the price! The ground coriander is amazing and makes a great spice to add to our apple pie filling. Very flavorful and smells great. Wonderful to add to cider as well. great value and great price on this Regal ground coriander. Maintains its freshness and adds great flavor. Great for rubs and curry, this spice is made from ground coriander seeds and adds a great flavor. i will most definitely be buying it again. I really love coriander. It's one of the few spices in my house with universal appeal - slightly mineral-y, herbal, no heat, all earth. This will last awhile! This coriander is identical to big name brand ground coriander but the price is definitely a lot better. It came with no clumps, and it smells of fresh spices. This coriander is priced very reasonably. Coriander is a spice we always have in our kitchen. Great for rubs and curry, this spice is made from ground coriander seeds and adds a great flavor. Regal makes high quality products at reasonable prices. Im not a biggest Coriander fan but I recently had BBQ chicken with Coriander and it was so refreshing and New! I had never had a coriander, that I know of but it was quite familiar. It gave me a great earthy taste which I loved. Cant beat the quality for the price. 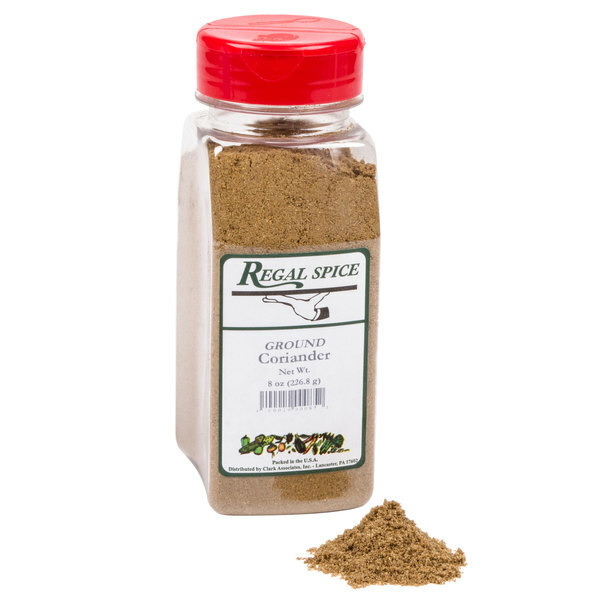 This is a versatile spice that we use in various spice rubs as well as marinades. Works great as a secret ingredient in potatoes, chili and many other recipes. A great size container and perfect spice to have on hand. It really adds a nice warm smell and flavor to our spiced jams and preserves. Great value and great price on this Regal ground coriander. Maintains its freshness and adds great flavor. i will most definitely be buying it again.